‘ONE TREE PER CHILD IRELAND 2018’ AN INTERNATIONAL DIMENSION TO NATIONAL TREE WEEK. 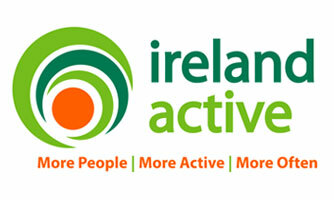 On Friday 9th March the ‘One Tree Per Child Ireland 2018’ event will take place at the Active Kilrush Sports Complex. 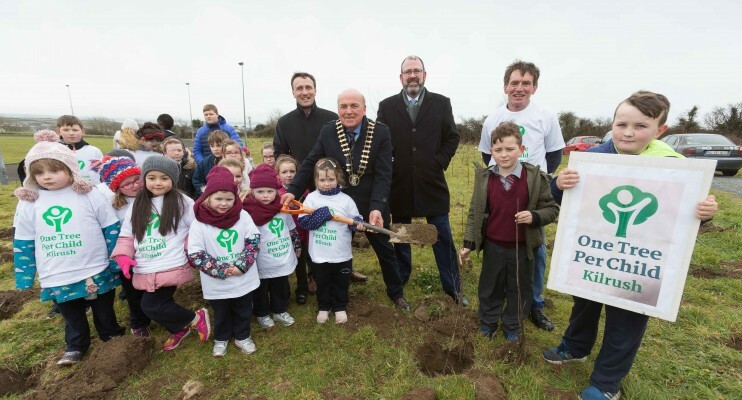 As part of National Tree Week new pupils from the two local Primary Schools, St. Senan’s NS and Gaelsoil Ui Choimin, will help plant their own dedicated tree. In 2017 Kilrush became Ireland’s first participant in ‘One Tree Per Child’ movement which extends across nine nations worldwide. 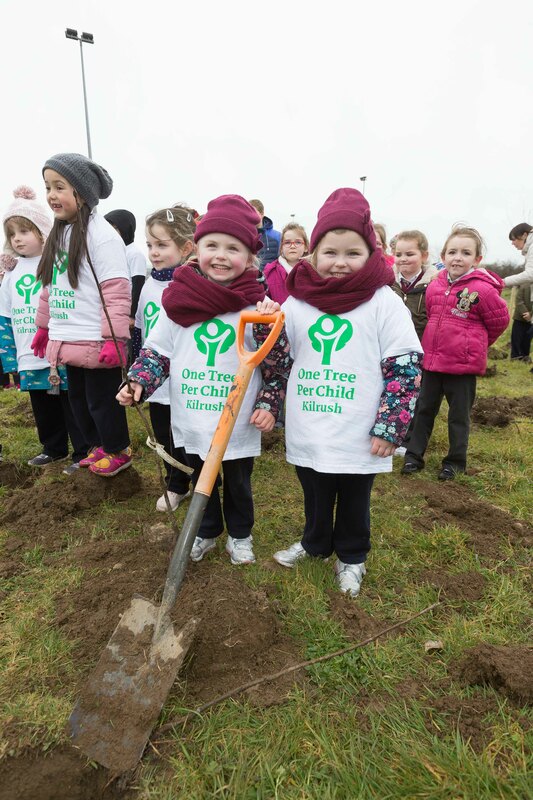 Kilrush Tidy Towns, in partnership with the local schools and Clare County Council, have embarked on an initiative to ensure every child will plant a tree of their own. Every year, during National Tree Week, new pupils get to plant their tree alongside those planted in previous years. The trees are planted in an area designated for each class so that connection between childhood friendships can forever be maintained. 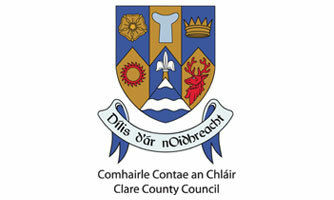 Clare County Council has provided an area of land for planting at the Active Kilrush Sports Complex and Kilrush Tidy Towns has donated the native Irish trees, such as Rowan, Oak, Alder and Birch. 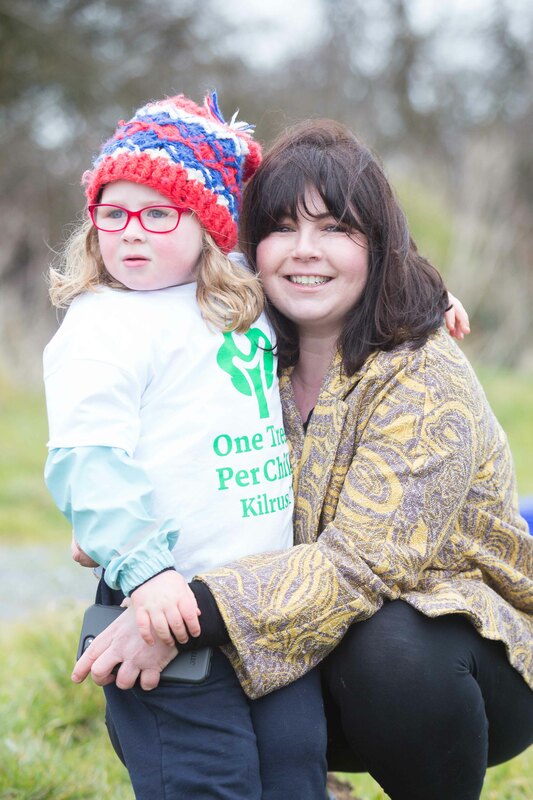 ‘One Tree Per Child’ was started in Australia in 2013 by environmentalists Olivia Newton-John and Jon Dee. Jon and Olivia were the founders of Australia’s highly successful ‘National Tree Day’. This success led to them establishing the international ‘One Tree Per Child’ project. In February 2015, Bristol, who were the European Green Capital that year, became the first UK city to participate in the ‘One Tree Per Child’ project. Since then, One Tree Per Child projects have been planting trees in the UK, Australia, Kenya, Ghana, Mali, South Sudan, the Netherlands, Germany and Ireland. To date, nearly 200,000 trees have been planted around the world. There are many benefits to having our children planting trees. As a child grows, so does their tree. This connection between the child and their tree leads to increased environmental awareness and care. 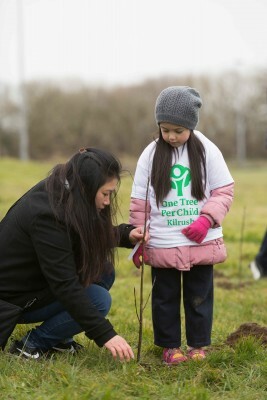 Planting a tree is often a child’s first act of volunteering for their community. 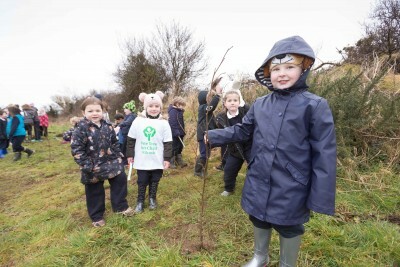 Tree planting gives children ‘a sense of belonging’. When they’re planting a tree or a shrub, the child is literally putting down lasting roots, connecting them to their community. Psychological research shows a correlation between childhood contact with nature and better mental health. Planting a tree empowers children into realising that they can make a personal difference for wildlife, our soil and the environment. When a child’s tree grows, it also increases its beneficial contribution to wildlife, our soil and the environment. 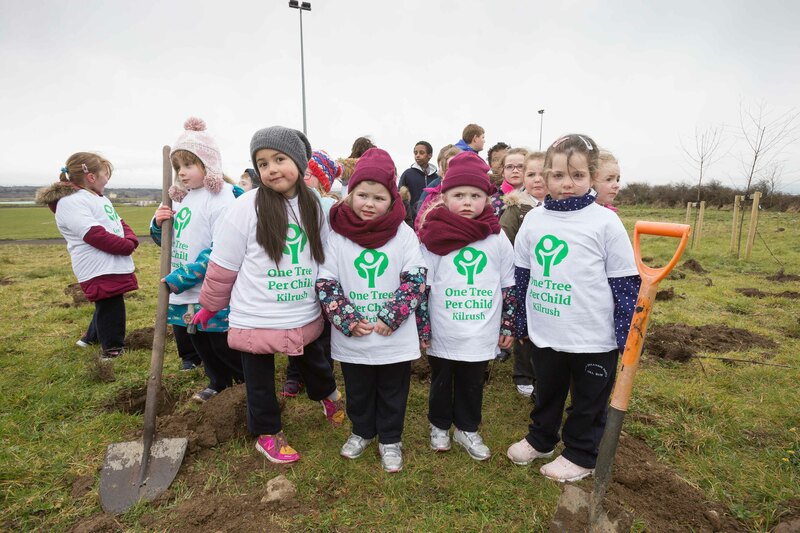 Twins Bonnie and Sophie Clarke and friends from local primary schools St. Senan’s NS and Gaelsoil Ui Choimin planting their trees as part of the “One Tree per Child” initiative at Active Kilrush Sports Project. 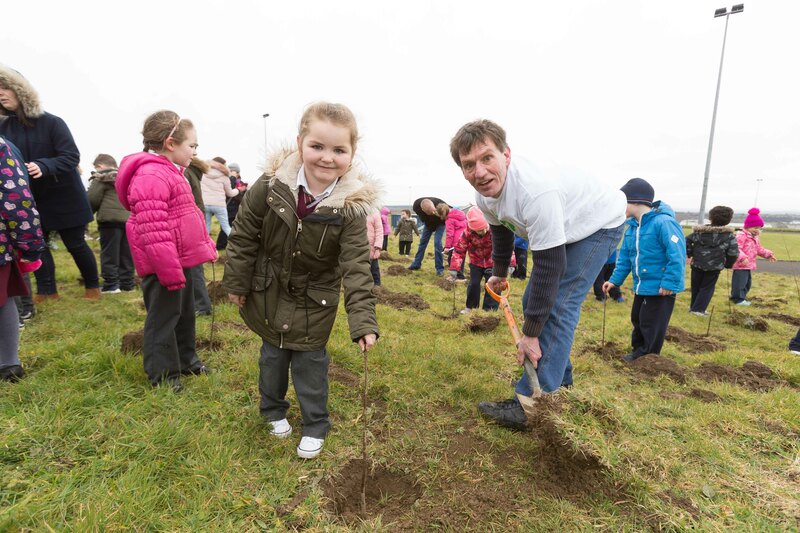 Siobhán Mescall and her mother Cassbie and friends from local primary schools St. Senan’s NS and Gaelsoil Ui Choimin planting their trees as part of the “One Tree per Child” initiative at Active Kilrush Sports Project. Ella Meehan and her Mother Judith Ryan at the “One Tree per Child” initiative at Active Kilrush Sports Project. Emma Lynch and friends from local primary schools St. Senan’s NS and Gaelsoil Ui Choimin planting their trees as part of the “One Tree per Child” initiative at Active Kilrush Sports Project. 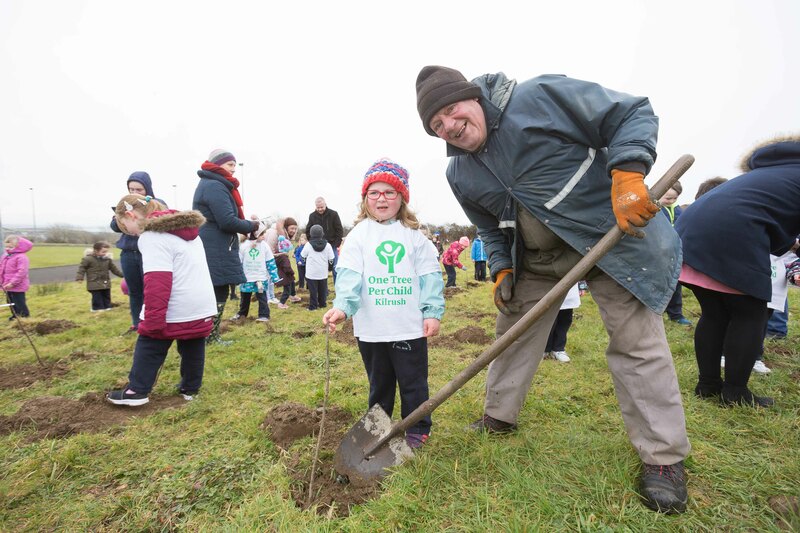 Marissa Ward gets a little help with her tree from Paul Edson, Chairman Kilrush Tidy Towns and friends from local primary schools St. Senan’s NS and Gaelsoil Ui Choimin planting their trees as part of the “One Tree per Child” initiative at Active Kilrush Sports Project. Ella Meehan gets a little help with her tree from Mort Collins at the “One Tree per Child” initiative at Active Kilrush Sports Project. Twins Bonnie and Sophie Clarke and friends from local primary schools St. Senan’s NS and Gaelsoil Ui Choimin planting their trees as part of the “One Tree per Child” initiative.